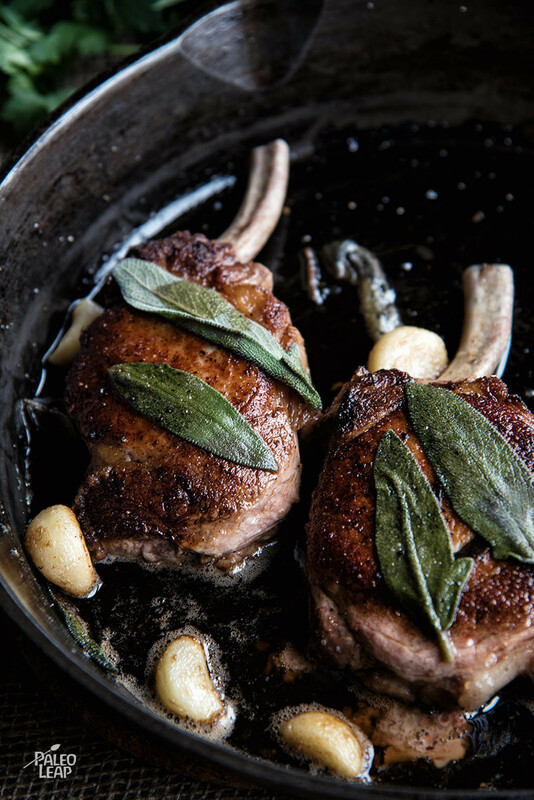 A generous helping of clarified butter with garlic and sage adds flavor to these quick stovetop pork chops. This is truly a recipe for the garlic lovers: you can leave the garlic cloves whole, let them brown up nicely in the butter sauce, and then enjoy all that buttery garlicky flavor served on top of your meat. Ghee is one of the best Paleo fats: assuming it came from pastured cows, it’s rich in vitamin K2, butyric acid, conjugated linoleic acid, and all kinds of other good stuff. Even people who can’t tolerate lactose can often handle ghee just fine. And the herbs in this recipe actually help preserve the nutritional value of the ghee: the antioxidants in the sage and the garlic preserve the fats in the ghee and stop them from being oxidized. If you do well with white potatoes, this would be very good with some mashed or roasted potatoes, or maybe some celeriac mash if you’re on the AIP or trying to keep the carbs lower. Melt the cooking fat in a large skillet over medium-high heat. Season the pork chops to taste on both sides. Place the pork chops in the skillet and cook for 8 to 10 minutes, turning every minute or so. Remove the skillet from the heat and add the garlic, ghee, and sage. Let the butter melt in the skillet, and mix it around with the garlic and sage. 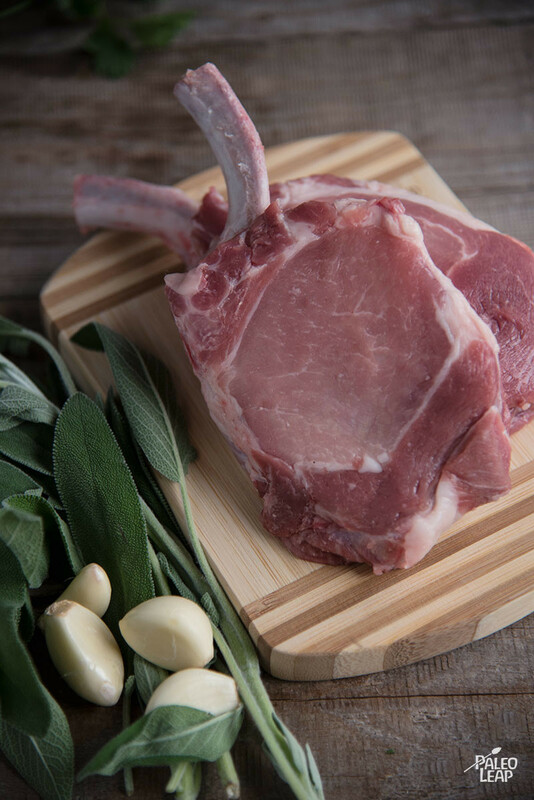 Let the skillet sit for 3-4 minutes, basting the pork chops frequently with the butter-garlic-sage mixture.